Steelite International is working closely with a number of suppliers and organisations, and continually monitoring, developing and improving procedures to create minimum impact on the community and environment, while ensuring maximum efficiency and cost savings for the future sustainability of the business. Steelite International has been certified to the ISO 14001:2004 Environmental Management Standard (EMS) since the certificate’s introduction in 1996. In addition, with new targets set through the Green Initiative to cut wastage of raw materials, energy and water, Steelite International is determined to reduce the company's carbon footprint and impact on the environment. Steelite International is a member of The Green Organisation that rewards and promotes environmental best practice around the world and the Staffordshire Business & Environmental Network, which aims to help local businesses reduce environmental impacts while also generating profits. 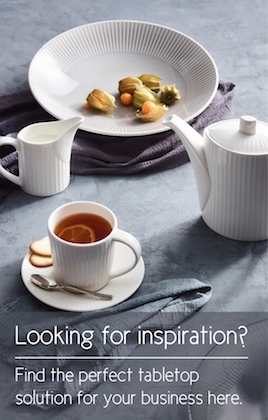 Steelite International has a dedicated, innovative approach to caring for the environment. In 2007, the business became one of only five companies in the UK to install a Lamella system. Steelite is the only tableware manufacturer to use a Lamella system for recycling clay waste. 350 tonnes of clay per year that does not need to be quarried – reducing impact on the landscape and the energy required to remove/purify it. 350 tonnes per year that does not need to be transported to Steelite International from Cornwall – creating savings on vehicle emissions and the use of fuel. 350 tonnes of waste material per year can be re-used that would otherwise have been sent to landfill – reducing landfill and the impact on the environment by saving fuel and vehicle emissions that would have been created to transport the waste. In addition to creating clay to re-use, fewer chemicals are now required to separate waste. This has a positive effect on the environment and water discharged from the site is also purer. 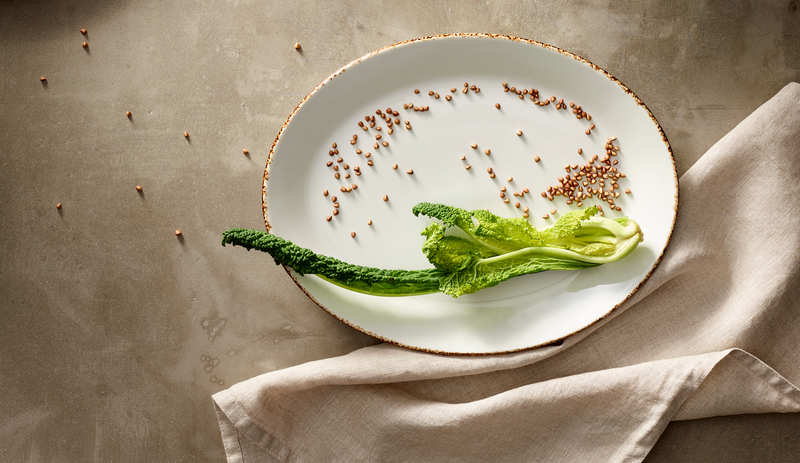 The Lamella has significantly reduced Steelite International’s impact on the environment. The company now recycles in excess of 90% of manufacturing waste. In 2010 Steelite International received a Green Apple Award for the Lamella project. Ultimately, the Lamella has contributed towards the sustainability of tableware manufacturing, as well as saving natural resources and subsequently, assisting in the reduction of global warming. Steelite International remains committed to its environmental policy and continues to implement new methods to reduce its commercial impact on the planet. Steelite International have set a target of recycling 100% of operational waste by 2015. Became a Silver Member of The Green Organisation. Achieved a Sustainable Restaurant Association (The SRA) approved supplier, becoming the only tableware manufacturer to get accreditation. In 2011 Steelite International produced total wastes of 3464 tonnes of which 3382 tonnes was recycled, 98% of all waste. Awarded the Gold Green Apple Environment Award. Made for Life Campaign launched highlighting the importance buying quality British products. By recycling clay waste, Steelite International save up to 243 tonnes of CO₂ every year. 350 tonnes of clay per year does not need to be quarried – reducing impact on the landscape and the energy required to remove/purify it. 350 tonnes per year does not need to be transported to Steelite International from Cornwall – cutting vehicle emissions fuel usage. 350 tonnes of waste material per year can be re-used that would otherwise have been sent to landfill. ISO 14001 Environmental Management Standard.